Kathryn Williams, Stefan Melbourne and Liverpool talent Lizzie Nunnery plus Ragz Nordset join a host of live offerings from the team who like to stir it up, albeit gently. This is a modest motto for a team that consistently bring to Merseyside’s doorstep, the best in roots, folk and blues while championing and nurture Liverpool’s song-writing talent. Recently they’ve announced four new gigs in some of the city’s most intimate venues. Come March 13, Mellowtone have invited Manchester’s Stefan Melbourne to play at the Shipping Forecast. Melbourne’s got one of those wisdom filled heads on young shoulders. Upon listening to his atmospheric, bluegrass guitar you’ll hear flickers of Bon Iver and Nick Drake gracefully dancing through your mind. High praise, indeed. Liverpool’s own, Kathryn Williams, will be returning to our open arms on the March 19 playing at Leaf. Her delicate sound will be beautifully matched with the intimate setting, and waiting in the wings to support Williams are a troupe of Liverpool’s finest songwriters, Lizzie Nunnery and Vidar Norheim (more popularly known as drummer for GIT Award nominees, Wave Machines) along with a visit from Matt Deighton. Mellowtone are teaming up with Rebel Soul, to present the outstanding and powerful vocal chords of Ragz Nordset live from the Scandinavian Church on April 4. You couldn’t ask for a better venue to display her deeply moving soulful pop. There she’ll be joined by the experimental sound of Silent Cities. 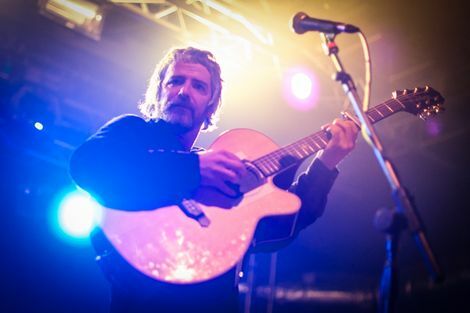 The following month, on May 17, John Bramwell of I Am Kloot fame will be playing his brand of bluesy folk at The Kazimier. Fans of the band and Bramwell’s solo career will be delighted to hear one of the North West’s finest songwriters playing through the catalogue of new and old tunes. Accompanied by record hungry grafters, Beaten Tracks DJs, who will be spinning their vast collection of dusty and forgotten records, fans of rocking out gently are in for a treat this Spring. Getintothis reviews I Am Kloot at O2 Academy. Getintothis feature on Ragz Nordset. Best new music – Låpsley. We Are Catchers drop Tap Tap Tap ahead of debut on Domino Records. Best new music – Getintothis on Abe. Best new music – Getintothis on Etches.